I use this to replace my lunch in the middle of the day. A good way to get some protein and keep the calories low. It's a little higher in sugar than I'd like, but nothing unreasonable as I only have one. I do find I end up getting hungry again after a while, about 4 or 5 if I eat the bar at 1, but I think that's inevitable with any bar meal substitute. Where I feel this bar really stands out from the competition is the flavour. 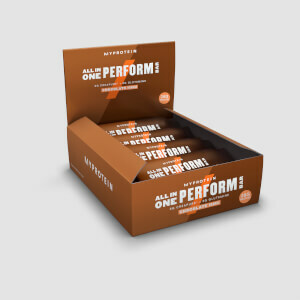 They're genuinely delicious, and not just by meal replacement bar standards. Salted Caramel in particular is excellent. I hope they introduce a few more flavours as nice as those the range they have now. Love the flavour, have it for breakfast and it keeps me full until lunchtime with no need to snack. Some batches are tougher to bite than others, ive had to bin one whole box as they were too tough to eat. Could really use a softer blend. The taste and texting this is good, however the only time you can truly enjoy it is if you are able to bite into it. 😡 The meal replacement bar is very hard to bite into? Not sure weather the product is such or MY PROTEIN store it in a freezer? 🤔 Therefore food/ product not fit for purpose. I felt physically sick eating these, the texture is horrible; it’s hard, chewy and hurts my teeth. I would highly recommend avoiding this product. The taste is disgusting too, there’s nothing nice about these bars. Love it! It's a little like nougat consitensy with crunchiness. It's quite filling as well. Not too sweet, a big plus for that because usually you feel a lot of sugar in all kinds of bars. I bought Christmas pack of five bars as well and although they were tasty but a bit too sweet while these are just what I wanted. Edible but barely, very tough to chew and always leaves my stomach complaining. Also too sweet. These bars are among the greatest finds of my life. They are what concrete would be like if God had made it equal parts delicious and nutritious. For a short stubby bar they take a substantial amount of time to gnaw through, although the satisfyingly ungiving base is contrasted perfectly with the smooth chocolate cream across the top. You definitely know you've eaten once you've had one of these bars, and for flavour and nutrition they can't be knocked. 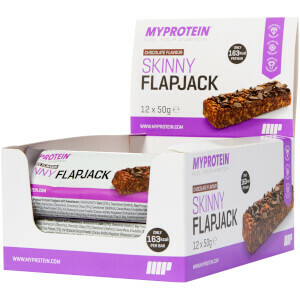 Give them a try if you have a niche in your routine for something relatively low-calorie but what feels like several sandwiches-worth of eating. Chocolate fudge. The texture is dense to the point of being hard. As you keep munching, it becomes chewy. The taste is satisfactorily chocolaty. This flavor may not be worth quite a “4/5,” but it beats the “salted caramel” flavor. Salted caramel. The texture is pleasantly dense without being dry, but the taste is just OK. If anything, it feels salty more than sweet (or at least, the aftertaste is salty more than it is sweet). To date, I’ve reviewed twelve of MyProtein’s snacks. These bars taste amazing and definitely fill a spot in place of a meal! Only criticism is some of the bars in the box I ordered were only half the size of others I.e. only 40 g. May have just had an odd batch.